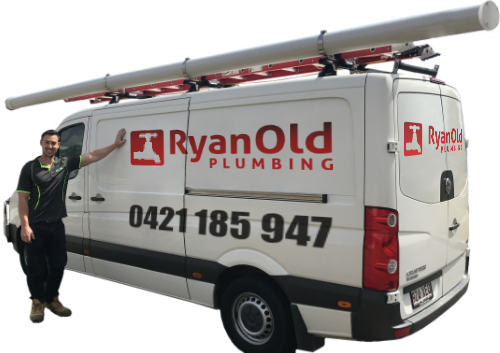 Ryan Old Plumbing offers complete blocked stormwater drain cleaning and clearing services across Brisbane and suburbs. Our experienced plumbers can quickly find the blockage, unblock the drain and carry out any repairs needed to reduce the chance it will clog up again. Ryan Old Plumbing’s best advice is to maintain your stormwater drains throughout the year is to carry out routine drain cleaning. Early detection can save a lot of work and costly repairs further down the line. If you are aware that you have partial stormwater blockage call in your plumber as soon as possible. Stormwater drain blockages are often caused by dirt, leaves, garden debris, sludge build-up, sediment accumulation, tree roots, and due to the lack of maintenance as well. Depending on the blockage our team will utilise a high-pressure water jetter or electric eel to break up the clog and disburse the debris. High-pressure water jetting can clear even stubborn clogs. However, clearing the blockage is only half the solution, using a specially designed CCTV drain camera our drainage experts can carry out a comprehensive inspection of your stormwater drains to identify trouble areas. This also allows our plumbers to find and remove other potential obstructions, such as tree roots, which may cause problems in the future. Our plumbers know that a blocked stormwater drain is always a priority, leaving it unresolved can cause bigger problems. This is why each and every blocked drain is attended to as soon as possible. Make sure your yard is regularly cleared of leaves and garden debris. Drains which smell bad, or have been used to dispose of oil or chemicals must be cleared by a professional plumber, don’t DIY. Check and clear the grates and drains around your property regularly on dry days. Wear appropriate protective clothing and gloves when clearing debris. Do not try to unblock a drain during a storm or heavy rain. You mustn’t use any chemicals in clearing storm drains. Storm drains are for stormwater only. Don’t dispose of food waste, any garbage, paint, oil or sewage in a storm drain. If you can see a blockage and it’s out of reach, if you can’t easily clean it yourself, call your plumber to have it cleared. If rain is pooling in your yard or the stormwater drains are overflowing even in light rain contact Ryan Old Plumbing for cleaning and clearing at 0421 185 947 or complete our stormwater drain cleaning booking form today.